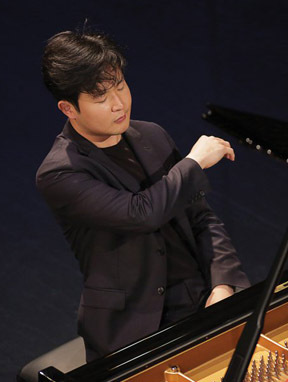 Yekwon Sunwoo won the Van Cliburn International Piano Competition, besting 29 rivals over two weeks of playing to become the prestigious contest’s first champion from South Korea. Mr. Sunwoo, 28, played Rachmaninoff’s Piano Concerto No. 3 in the final round, when each of the six remaining contestants performed first with a string quartet and then with the Fort Worth Symphony Orchestra. The Texas Guitar Quartet is Isaac Bustos, Jonathan Dotson, Alejandro Montiel and Joseph Williams II. As soloists, they have garnered acclaim on concert stages around the world and prizes in dozens of international guitar competitions. 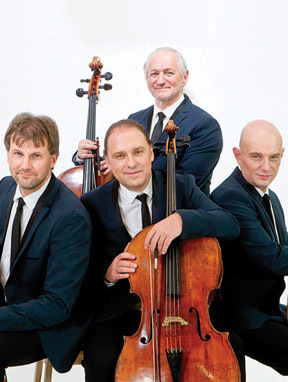 Together, they bring their unique passions and talents to an ensemble dedicated to presenting chamber music of the highest quality. Recent performances were presented by the New York City Classical Guitar Society, Victoria Bach Festival, Austin Classical Guitar Society, Guitar Houston, Texas Music Festival, Troubadour Series at Wofford College, University of Texas at Brownsville Guitar Ensemble Festival and Competition, and Austin Chamber Music. Rodica Gonzalez was born in Bucharest, Romania, where she began her violin studies at the age of four. She gave her first concerto performance with the orchestra at the age of 11 while studying at the George Enescu Music School. At the age of 18, she enrolled in the Ciprian Porumbescu Conservatory in Bucharest. Rodica received her master's degree from the Shepherd School of Music at Rice University. Her mentors include Modest Iftinchi, Sergiu Luca, and Christoph Eschenbach. The Chamber Singers are comprised of approximately 40 highly advanced singers. They were one of only two invited collegiate choirs to be featured at the 2015 Texas Music Educators Association Convention. In addition, they were the only invited college choir in recent TMEA history comprised solely of undergraduates and with a majority of non-music majors. The University of Texas Trombone Choir is directed by Nathaniel Brickens, since 2000, and was founded in the fall of 1977 by UT professor emeritus and trombone legend, Donald Knaub. The University of Texas Trombone Choir serves as a laboratory extension of the UT Trombone Studio. Considered one of today’s top pianists with over 3 million CDs sold. It has been said that he plays “luxurious arrangements” with an “ethereal quality”; that he plays in a “free-flowing, emotional manner that seems to go to the music’s very soul.” (Stereophile Magazine) Without a doubt, when you hear Emile Pandolfi play, you know that you are hearing one of today’s finest pianists. Receiving his degree in piano performance, Emile applies his classical technique to Broadway and Popular music, in addition to classical performance, to the delight of his many fans. Strong in both technique and musicality, he has performed in many parts of the world throughout his professional career. Concerts will be held at 3:00 p.m.